LOS ANGELES, Calif. – (RealEstateRama) — International award-winning firm KTGY Architecture + Planning is pleased to announce that KTGY received top honors at the 2017 Best of 55+ Housing Awards held at the National Association of Home Builders’ (NAHB) International Builders’ Show (IBS) in Orlando, Florida. The awards, presented by NAHB’s 55+ Housing Industry Council, were announced at the event’s 25th Anniversary Awards ceremony held on January 10, 2017. Griffin Plaza­ in Simi Valley, California received the Gold Award for Best 55+ Independent Living Community On The Boards and a special Innovation Award. The goal of the design for client Griffin Fine Living, LLC, was to create a new 96-unit assisted living and memory care facility that was seamlessly integrated into an existing shopping center and woven into the community fabric. 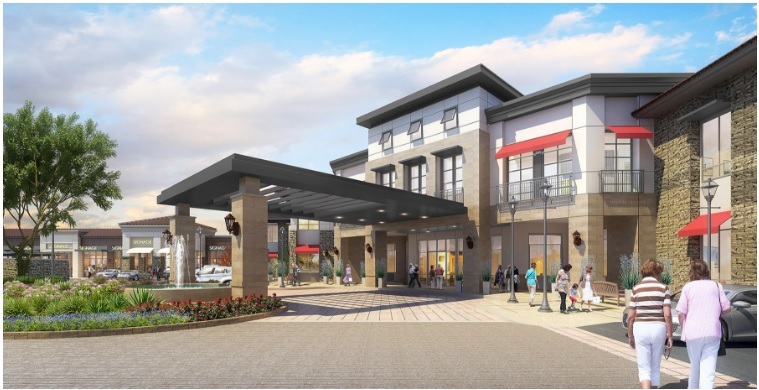 The multi-phase project includes construction of the new assisted living and memory care facility and exterior renovation of the existing retail center to update the aesthetics and improve the pedestrian connection between the retail stores. It also includes the addition of new retail and an outdoor play area to further enhance the center. The project features built-in program elements to engage the local community through the sharing of its amenities – i.e. a Cub Scout meeting room dedicated to intergenerational/inter-community activity. The assisted living and memory care facility amenities include private gardens and a roof deck with dining to encourage indoor/outdoor connections. The Georgian Lakeside in Roswell, Georgia­ received a Silver Award in the category of Best Assisted Living/Special Needs Community. The Georgian Lakeside is an all-inclusive 95-unit assisted living and memory care community overlooking a five-acre lake in Roswell. 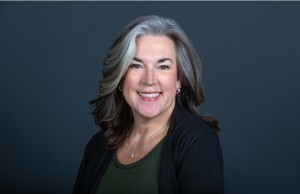 Griffin Fine Living, LLC is the general manager and Thrive Senior Living is the operator. The capital necessary for the construction of this leading-edge facility was provided by Canyon Partners Real Estate LLC. The goal was to create a visionary assisted living and memory care residential community that provides residents with exceptional care in luxurious surroundings without the worry of cost increases as their care needs escalate. The building’s design maximizes the beautiful lake views seen from all of The Georgian’s elegant dining rooms, the casual bistro, lobby areas and half of the resident suites. The Georgian features well-appointed and accessible living suites where a living area can become a second bedroom or vice-versa. The flexible living configuration allows residents to remain active while receiving individualized care based on their changing needs. Sierra Bloom in Scottsdale, Arizona received a Silver Award for Best Assisted Living/Special Needs Community On The Boards. The goal of this design for client Griffin Fine Living, LLC, was to create a unique assisted living and memory care community for the Sovereign Nation of the Salt River Pima-Maricopa Indian Community that honors the site and community traditions. The design features a two-story, 118-room luxury facility that allows for a high-quality lifestyle with resort-style living, excellent dining, social and recreational opportunities and wellness programs to nourish the mind, body and spirit. The memory care units are sized to match the assisted living units, and the memory care wing is programmed to anticipate the shift in future demand. The memory care units can be converted to assisted Living if the market demand shifts. Noble’s Pond, Sydney plan in Dover, Delaware received a Silver Award for Best 55+ Detached Home On The Boards. KTGY was hired to redesign Noble’s Pond existing floor plans and elevations to improve sales. The new plan is larger, although it still fits on the original lot size. The redesigned floor plan includes many features that cater to the 55+ home buyer. The living space is forward with a generous front porch standard, a large foyer space, a dedicated owner entry area with a drop zone situated in a concealed entry from the garage, and extra workshop/craft space in the garage, optioning as storage or as an extension to the master walk-in closet. The plan also features a spacious rear deck or an optional four-season room, a den or optional third bedroom for a home office, guests or grandkids. There is a convenient pass-thru from the master bath to the laundry and a stair for an optional attic, loft or basement. The new elevations utilize highly-pitched gable roofs, dormers, decorative porch posts, standing seam metal accents, brick, decorative shutters and trim/cornice details to enhance the homes’ curbside appeal.